Waking up after pro night and club night wasn’t the struggle I thought it would be, not for lack of trying but the Friday and Saturday seminar schedules had a lot of ‘can’t miss’ events. I started the day Friday at the food and beer pairing panel with Adam Dulye, chef with the Brewers Association, Greg Brown from Beechwood BBQ and brewing, and Sean Clark of Steamworks brewing. The main takeaway from this talk for me was looking at flavors, aromas, the other senses, finish, and complexity in pairing rather than strictly relying on style. Discussion of what to learn from ‘bad pairings’ and how to build an experience through a pairing was also stressed. I’m looking forward to the dinner Saturday night and enjoying Chef Adam’s pairings. Next was the “Return of the Mead Panel”. This was an open forum panel featuring Steve Piatz, Michael Fairbrother, Curt Stock, and Ken Schramm; the panel was moderated by Gordon Strong. One audience member described the panel as “The Mt. Rushmore of mead. Each Meadmaker brought a special mead to the conference to pour for attendees as questions were asked and answered. First, ‘Truth be Told’ by Michael Fairbrother from Moonlight Meadery. Michael is the founder, president, and CEO of Moonlight as well as the president of the American Meadmakers Association (AMA). This was a traditional which has been aged 3 months in 20 year old scotch barrels. The scotch came through beautifully and the honey was warm and approachable. This mead was named for a line from TV program ‘The Wire’, which is set in Baltimore. Then we were treated to a raspberry melomel from Ken Schramm, owner and Head meadmaker of Schramm’s Mead in Ferndale, MI. Ken is on the board of the AMA, he is the 2014 recipient of the American Homebrew Association Governing Committee Recognition Award, and the author of The Compleat Meadmaker. For this mead, Ken used his commercial raspberry recipe, however, the raspberries were a different variety called Jaclyn, a larger berry. These berries were sourced from Hunt’s Hillside Farms in Michigan, the same farm where Schramm’s purchases the berries for their Raspberry sold in the tasting room. This mead was a deep beautiful raspberry color, full and jammy, the honey was beautifully expressed and each sip demanded another. Every time I think something is my favorite, Ken finds a way to top it. Curt Stock, The AHA Mead Maker of the year in 2005 and creator of the Northern Brewer Mead Kit, presented us with a black currant mead. Curt makes wonderful use of the fruit here, retaining tartness and the beautiful color of the fruit while still showcasing the honey. Our final mead was from Steve Piatz, he is a BJCP Grand Master VII judge and 2008 AHA Mead Maker of the Year. Steve is the author of The Complete Guide to Making Mead and a co-founder of the Minnesota Mashout Competition. 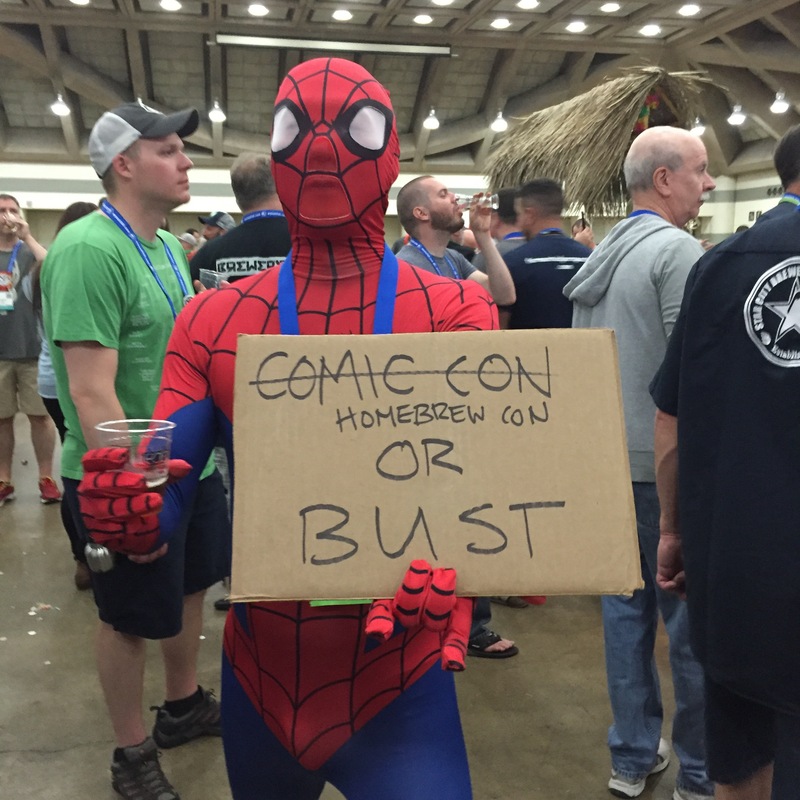 Steve’s mead was an IPA mead. I’ve never had a mead quite like this and found it to be crisp, clean, and interestingly balanced in terms of bitterness and honey presence. There were many great questions and valuable advice from the panel as well as a lot of great humor and quotable moments from panelists and audience alike, the talk will be available online to AHA members shortly. 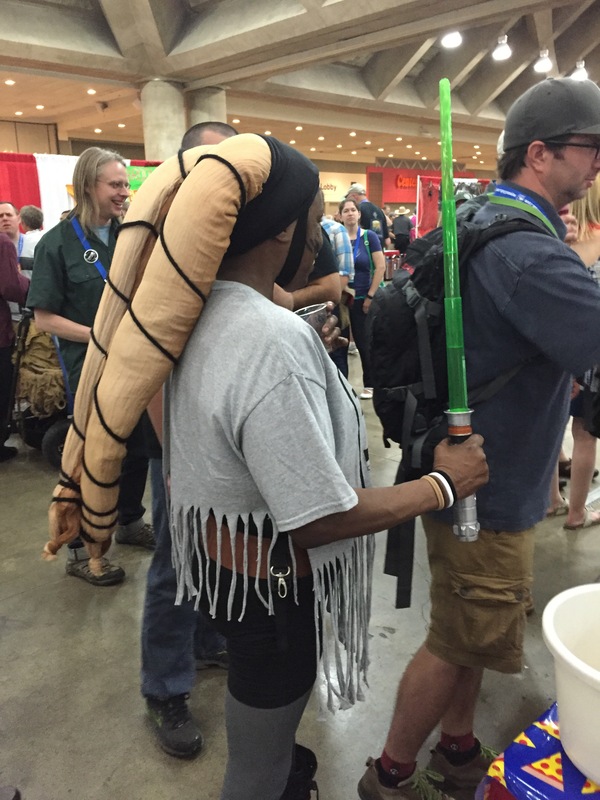 The next talk was titled “Ur-Buzz: The advent of Human Controlled Fermentation”. This talk was the one that put the idea of attending HomebrewCon in my head in the first place. Dr. Patrick McGovern of The University of Pennsylvania. He is the Scientific Director of the Biomolecular Archeology Laboratory for Cuisine, Fermented Beverages, and Health and an Adjunct Professor of Anthropology. He was introduced as the “Indiana Jones of Ancient Ales, Wines, and Extreme Beverages”. Dr. McGovern has worked with Dogfish Head brewing on their recreation beers ‘Midas Touch’, ‘Chateau Jiahu’, ‘Theobroma’, ‘Ta-Henket’, ‘Birra Etrusca Bronze’, and ‘Kvasir’. More information on these beers can be found at http://www.dogfish.com/ancientales. 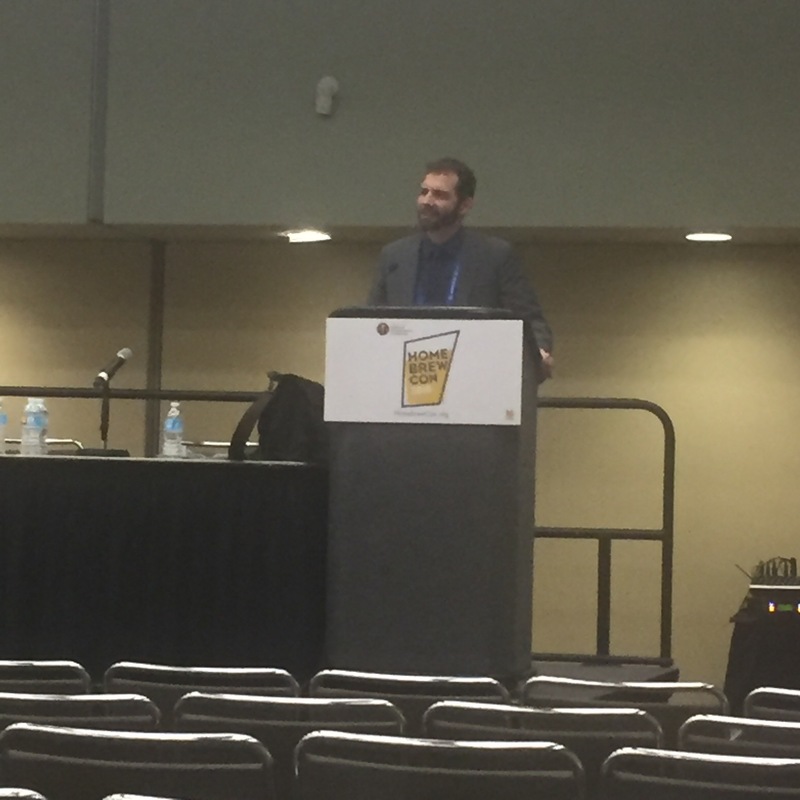 Dr.McGovern’s portion of the talk discussed historical contexts of the importance of beer and mead, theories on early production back to the ancient Mesopotamians and the kind of things used to make fermented beverages. The second half was presented by Ken Schramm who talked about honey and fermented beverage and then walked us through his recreation of the Hochdorf Tomb mead. The mead recipe was developed from data and pollen analysis drawn out of Manfred Rösch’s 1999 paper on the Hochdorf. We were able to try the mead, which was started on May 13, not yet a month old. The Hochdorf Tomb mead was an unfiltered mead and the recreation was phenolic, still a little yeasty, and it was hazy with a light yellow color. I really enjoyed this mead, the honeys and yeasts used were mainly from the region that the Hochdorf is in southern Germany, near Stuttgart. 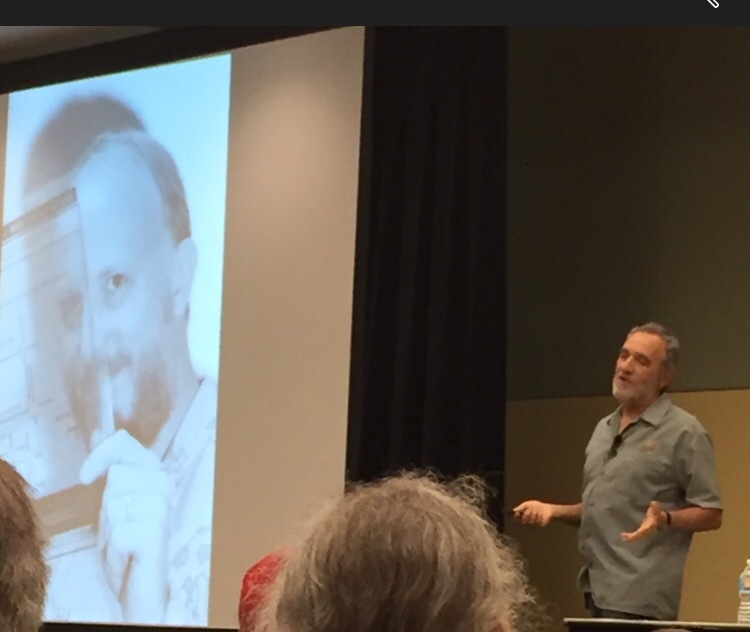 Friday afternoon I had the pleasure of hearing Charlie Papazian speak on homebrewing history. Charlie is the founder of the Association of Brewers and the Great American Beer Festival, author of The Complete Joy of Home Brewing, and the current president of the Brewers Association. Charlie’s talk took us through a history of homebrewing and Homebrew Cons through photographs. He is compiling these photos and many more, about 30,000 so far, into a searchable database. The photos were amazing and Charlie’s stories of experiences with everyone he talked about were wonderful. I learned Stuart Harris, started the term ‘microbrewer’ drawing from his experience in microcomputing, the very first member of the AHA was a woman and the 2nd Homebrewer of the year was also a woman, MaryBeth Millard-Bassett. Friday night is the always anticipated Club Night. 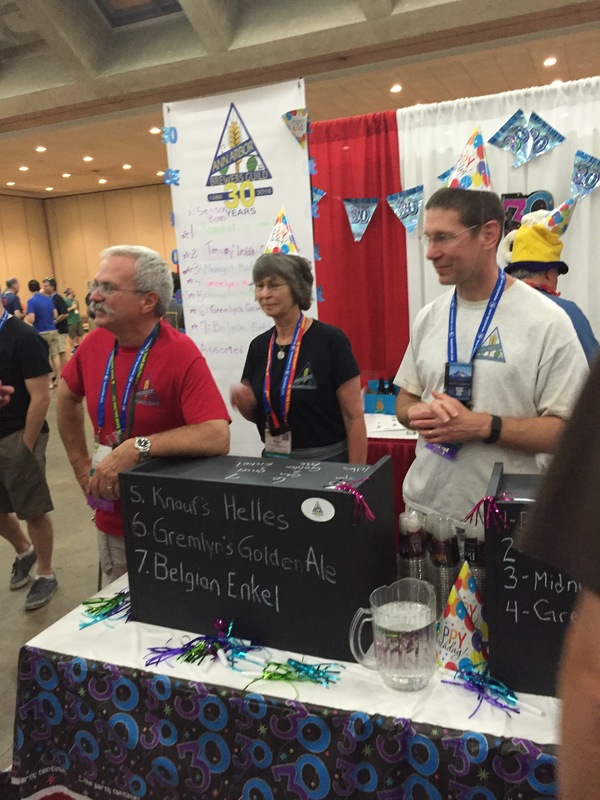 Club night gives participating Homebrew clubs a booth to set up and decorate and pour their beers for attendees. Many clubs choose decoration and costume themes, even beer naming themes. 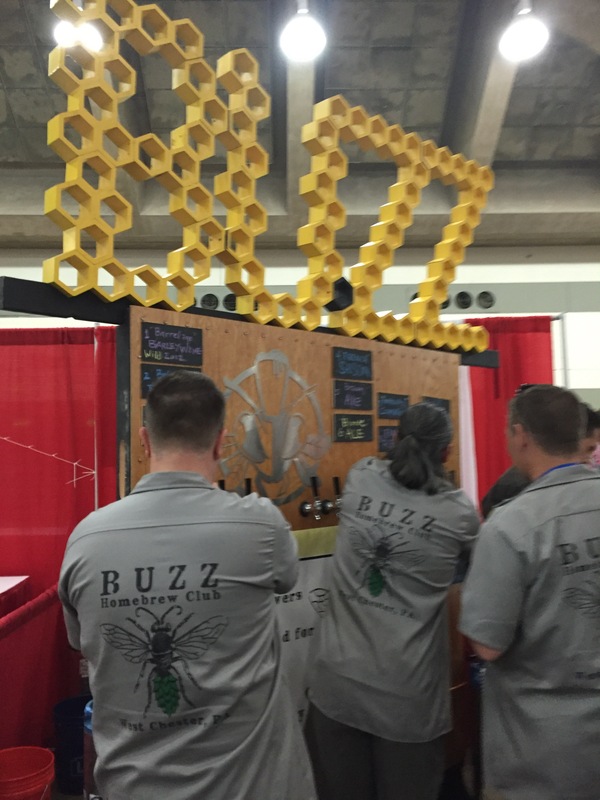 This was a fantastic event and a great opportunity to meet so many wonderful Brewers. Many of the brewers of beers poured were there to tell you about their beers and clubs and all of the interesting things they are doing. Club night pictures of costumes were taken with permission. Good friends and mentors of mine in the beer judging community, Jeff and Susan Rankert celebrating the 30th birthday of the Ann Arbor Brewers Guild. The Golden Girls!! Sophia and I sang the theme song together. I asked if I can be their Stan next year. Spidey has his priorities straight. 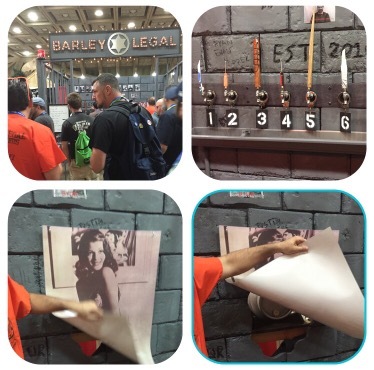 The folks from Barley Legal chose a prison theme. A Twilik!! Her beer was a gorgeous smoked brew, very delicious. 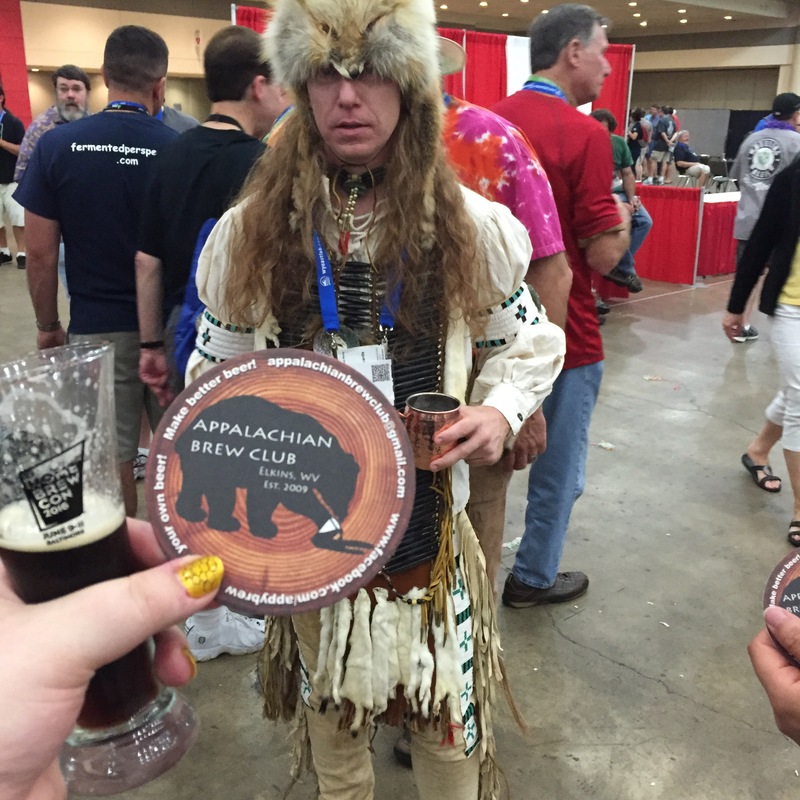 This gentleman is a Brewer in the Appalachian Brew Club, the beading on his outfit was done himself, by hand. He is a member of the First Nations. 2013 Homebrewer of the year, Annie Johnson. Such a pleasure to meet her! My new friend Kathy visiting with a Toronto Club. We met at the HI Baltimore hostel where we are both staying and decided to face Club Night together. 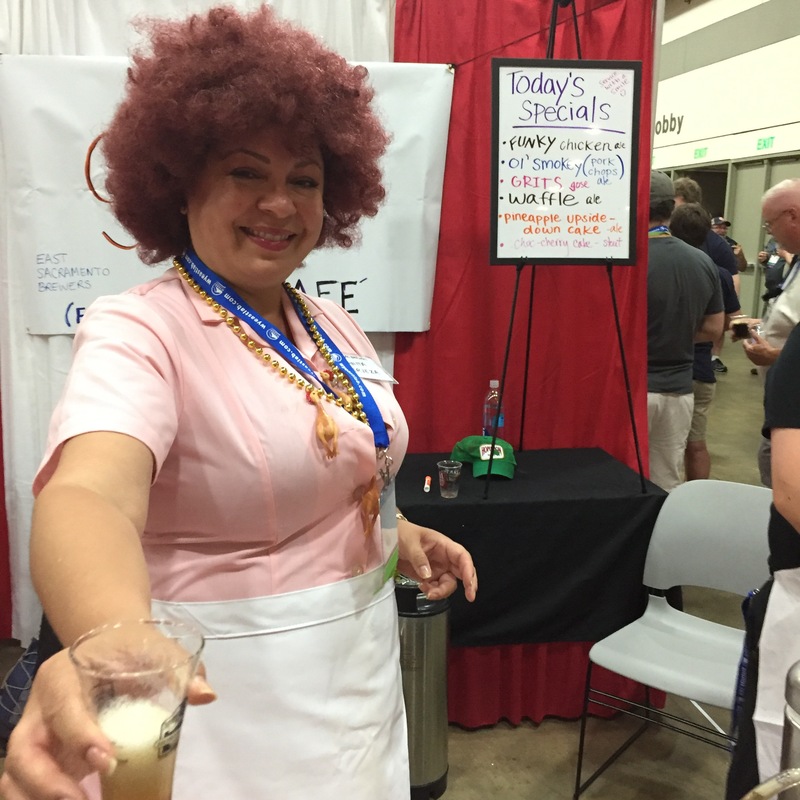 She’s a BJCP beer judge and truly has a passion for expanding homebrewing in Canada. 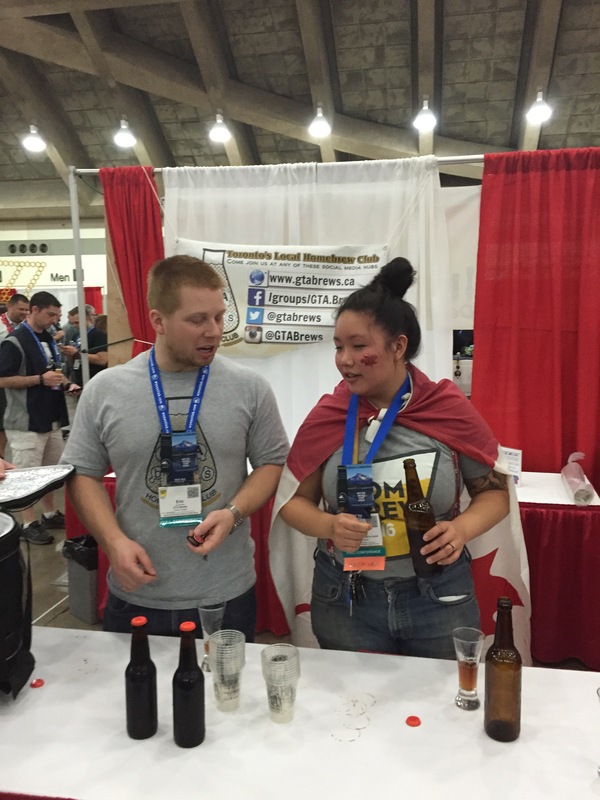 She began a Homebrew club during her time at the University of British Columbia that is still going strong! Saturday morning was spent in conversation with beer bloggers Derek Springer, Ed Coffey, Marshall Scott, and Matt Humbard. The panelists shared their experiences setting up and maintaining their blogs, discussed the most controversial blog they’ve done and gave tips to aspiring writers and podcasters. Gordon Strong spoke on Homebrew recipe design. Gordon is the current president and highest ranking judge in the Beer Judge Certification Program, author of “Modern Homebrew Recipes”, and the lead author of the current BJCP style guidelines. Gordon is an award winning Homebrewer and technical editor for Zymurgy magazine. The talk covered points on designing for flavor profile, style, adjusting recipes, as well as malt, hop, and yeast choice and tools for designing and documenting recipes. A great follow up to Dr. McGovern and Ken Schramm’s talk on Friday, Travis Rupp of Avery Brewing and The University of Colorado Boulder spoke on Ancient Brewing in the World of Wine. Fascinating discussion of the presence of beer and brewing in Ancient Greece, The Near East, Egypt, and the surrounding areas from the Bronze Age to the time of Alexander the Great. These were only a small portion of the talks and events going on, in addition there was a large show/expo floor and book signings each day. 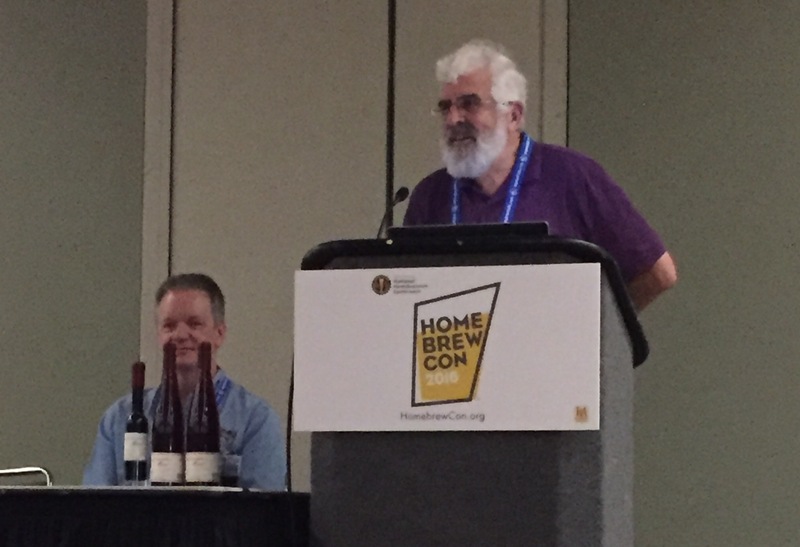 More information on the AHA and the annual HomebrewCon can be found at Homebrewersassociation.org and full recordings of every seminar will be available soon online to members of the AHA. See you next year in Minneapolis! I am so glad you enjoyed the conference this year. It was very well run, and I agree that the seminars were particularly interesting and useful. And yes, Club Night is always BIG FUN! 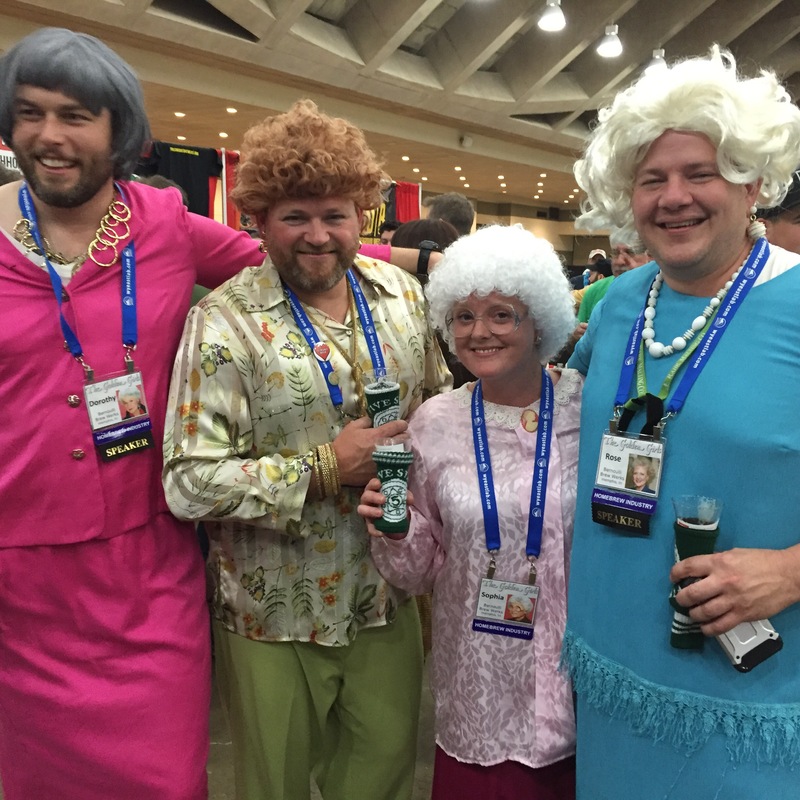 Next year, think about hooking up with the AABG crew to pour at our booth- having a booth just enhances the experience. Hope you are making plans for next year in Minneapolis.